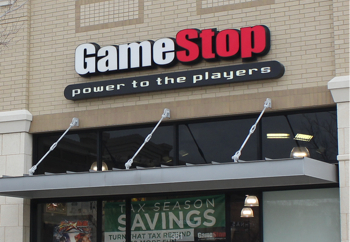 GameStop has reportedly already hit its Xbox One launch-day allocation. GameStop outlets in the U.S. are no longer taking preorders for the upcoming Xbox One, having burned through its entire allotment of the "Xbox One Day One Edition." Multiple stores confirmed the situation with Polygon, stating that the order came down from on high to all stores in the country. It's both good news and bad news for Microsoft: Good news because it means that people are still interested in the Xbox One despite a less-than-stellar showing at E3, and bad news because the per-store allocations appear to be fairly small, especially when compared to numbers for Sony's PlayStation 4. "We were only given an allocation of 16 Xbox Ones but we have 60 PlayStation 4s and we're still taking orders," the manager of a Calfornia-based store said. The Xbox One is still several months away and Microsoft could increase allocations or shift inventory; it's also possible that the company was aiming low with its initial allocations, although I certainly don't mean to imply that any kind of shenanigans are afoot. GameStop also confirmed that while in-store reservations are no longer being taken, customers can still place preorders through the GameStop website.